You are browsing the archive for Important. 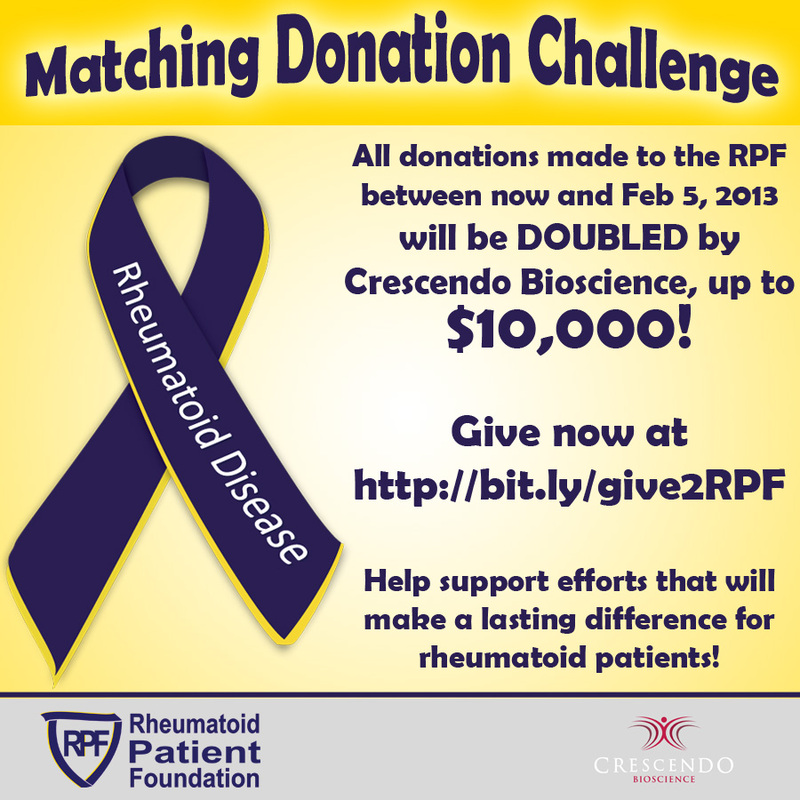 Now through February 5, 2013, all donations made to the RPF will be doubled by Crescendo Bioscience – up to $10,000! We encourage you to take advantage of this matching donation to help support the RPF’s work and mission of improving the lives of people with rheumatoid disease. Your donations are what make the RPF possible. Consider a gift as simple as $6 – as we celebrate the inaugural Rheumatoid Awareness Day, $6 reflects the 6-week time period that the groundhog’s shadow predicts and the short window of opportunity for early diagnosis and treatment. If you would rather donate by sending a paper check, send the check to the address below. All donations are tax-deductible in the United States. Feel free to visit our Financial page. Crescendo Bioscience is a molecular diagnostics company focused in rheumatology and located in South San Francisco, CA. Crescendo Bioscience develops quantitative, objective, blood tests to provide rheumatologists with deeper clinical insights to help enable more effective management of patients with autoimmune and inflammatory diseases. For more information, please visit the company’s website at http://www.CrescendoBio.com. The month of February is designated as Heart Disease Awareness month, which touches on one of the most serious aspects of rheumatoid disease: its effect on the cardiovascular system. We want to inform the world that this is not merely a joint disease and move away from the characterizations about it being focused on the hands. 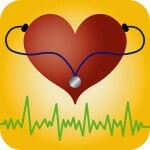 We also believe focusing on the heart and other organs will improve advocacy and research efforts. 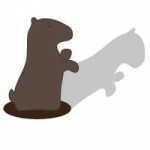 Every year on February 2, the groundhog comes out of his hole to see if he can see his shadow. It’s the moment of truth: if he sees his shadow, then tradition says that there will be six more weeks of winter. But if he does not see his shadow, then spring is right around the corner. This moment of coming out of the hole can be compared to rheumatoid disease onset – there’s no real way to predict which path the disease will take, how long it will be until it’s diagnosed, or what treatments will work. You might as well ask the groundhog! The six weeks of time that the groundhog is predicting corresponds to the short window of opportunity for patients with rheumatoid disease to get early diagnosis and treatment. There’s also a sense of bringing rheumatoid disease out of the “hole” or out of the “shadows” as we bring the truth of the disease into the light for the public to see. 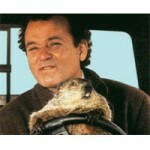 Of course, we can’t talk about Groundhog Day without mentioning the movie. The first time Bill Murray (Phil) wakes up to a repeating day is like the first time someone wakes up with symptoms of rheumatoid disease. It’s that moment where you go “What is THIS? WHAT is going ON?” Living the same repeated day over and over again is not an unusual feeling for somebody with rheumatoid disease who wakes up each day to the same chronic symptoms. Quite literally. 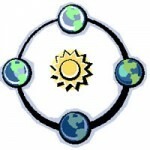 February 2nd is what is known in astronomy as a cross quarter day – meaning that it is midway between a solstice and an equinox – in this case, midway between winter and spring. Winter may still be here, but the hope of spring is approaching. We are not out of the cold yet, but the RPF seeks to bring awareness to rheumatoid disease, to bring us into sunnier days, blossoming through education and understanding. 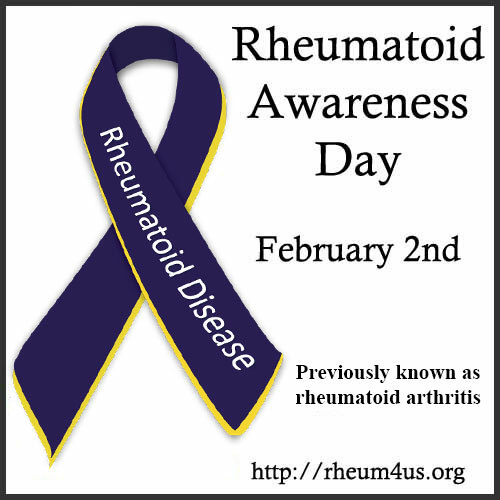 As Rheumatoid Awareness Day approaches, help spread us spread the word! 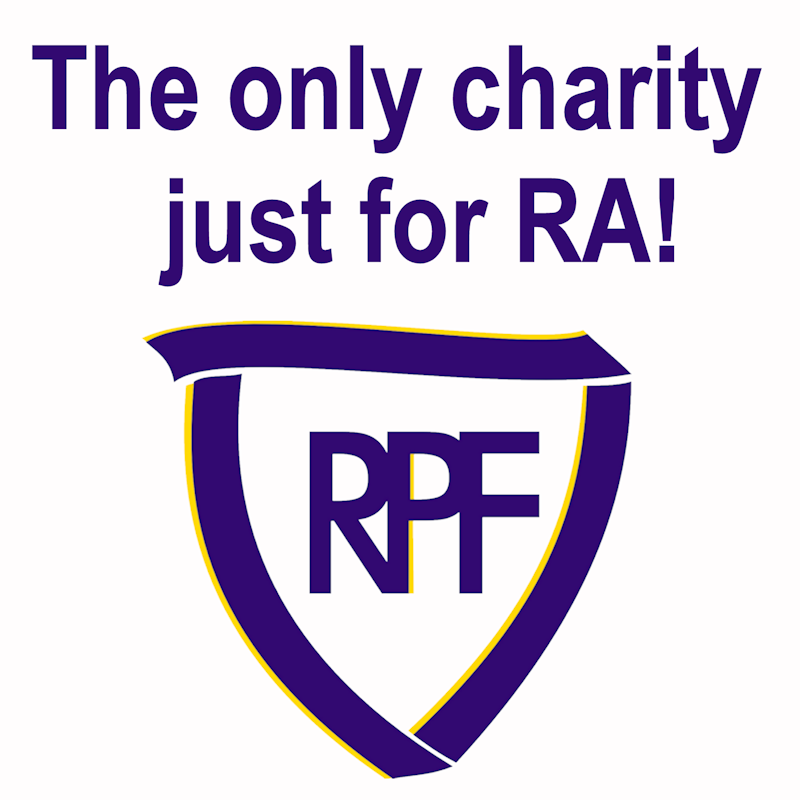 Click here for a list of ways that you can get involved and help the RPF raise awareness for Rheumatoid Disease. The first week in November, the Rheumatoid Patient Foundation (RPF) will exhibit at the annual Scientific Meeting of the American College of Rheumatology. The meeting is one of the largest of its kind with about fifteen thousand medical professionals attending from around the world. There are also thousands of pharmaceutical industry, biotechnology, marketing, and research personnel. This exhibit is a unique opportunity for our organization! We will have an opportunity to demonstrate The Face of Rheumatoid Disease to those who diagnose the disease, to those who create the treatments, and to others who market products to us. We have several effective ways we plan to present the patient viewpoint. However, the most thrilling is an RA VIDEO PROJECT. We believe that this project will help those who have not experienced RA to better appreciate what RA patients experience in living with the disease. We can convey a more complete picture of the disease and of the brave struggle many people have to continue to pursue their lives while fighting RA. Patients’ lives are much more than can be seen in a clinical setting – and we will show that. You can participate in the RA VIDEO PROJECT. If you would like to help us to produce the video project for the ACR meeting, you can do two things. (1) You can make a tax deductable donation to help cover costs. (2) You can request an instructional email which will provide specific details about video clips that you can submit for possible inclusion in the RA VIDEO PROJECT. Please read that email before sending any clips. Please consider donating to help cover the costs of creating materials for the ACR meeting – click here to donate now. The RA Survey is an opportunity for patient voices to be heard. Our first survey asks basic questions about living with RA that many patients have never been asked. 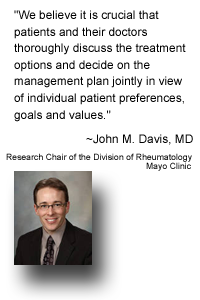 Our goal is to learn more about RA patients so that we can better represent their needs. The survey answers are anonymous. However, no one can replace your response. The more people who respond, the clearer the portrayal of RA will be. RPF is using a secure survey service called Wufoo to manage the RA Survey. Watch for updates with some electronically generated reports produced with their program. If you are living with Rheumatoid Disease, you can fill out your RPF RA Survey – just click here. It usually takes about 10 minutes, but you can take longer if you like.